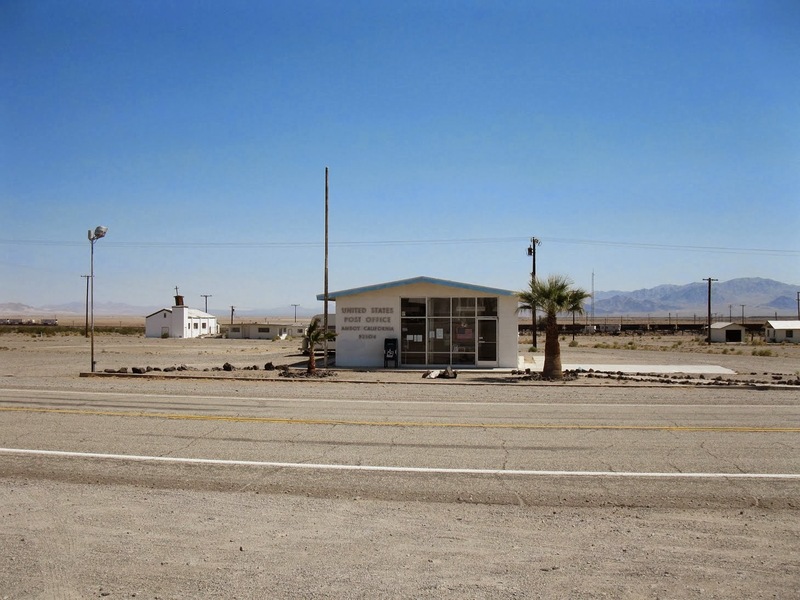 In the Mojave Desert of eastern California sits the town of Amboy, a once-prosperous stop along Route 66 where weary drivers could gas up, get some grub and spend the night before heading out the next morning on another lonesome stretch of the Mother Road. 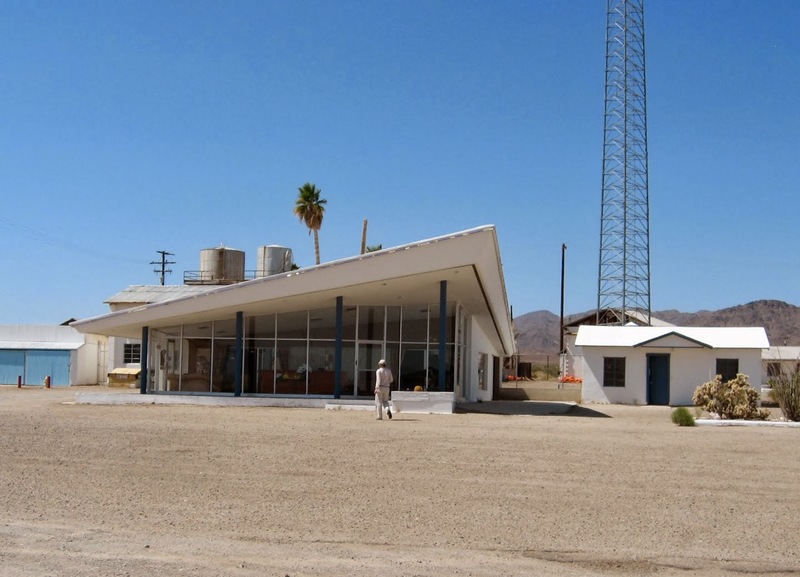 Roy's Cafe and gas station was opened in 1938 by Roy Crowl, who owned the whole town of Amboy (not a very big place, but impressive nonetheless) with his wife Velma. 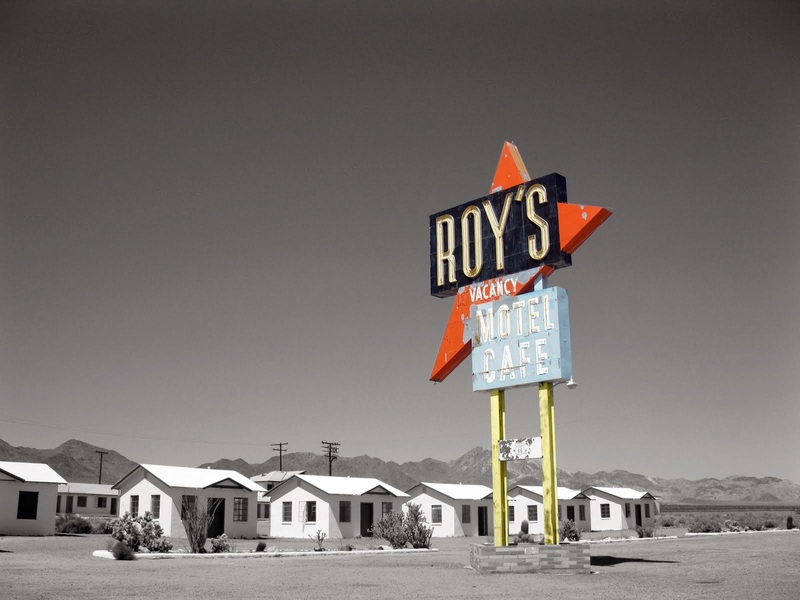 The Crowls' daughter Betty married a Herman "Buster" Burris and together they expanded Roy's and made it a booming post-War success. 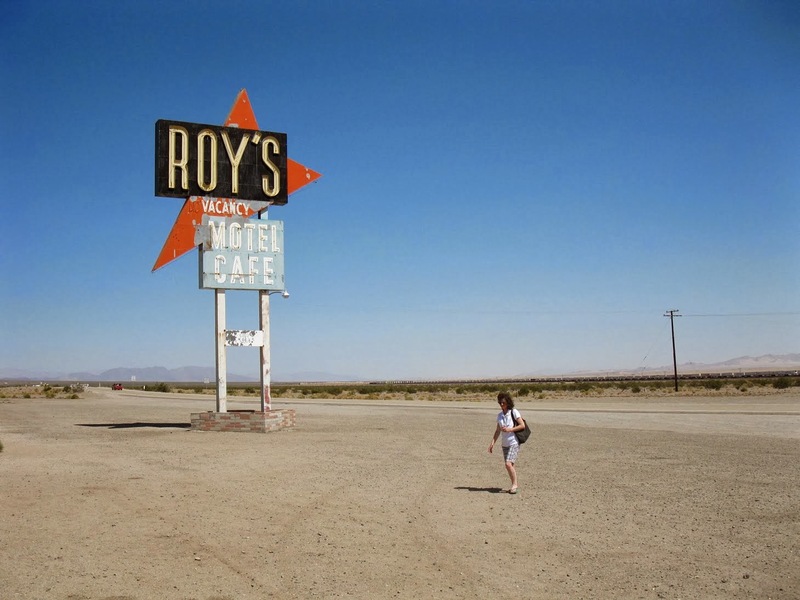 And then, as was the case with most Route 66 establishments, the Interstate came along and dried up all the local business. 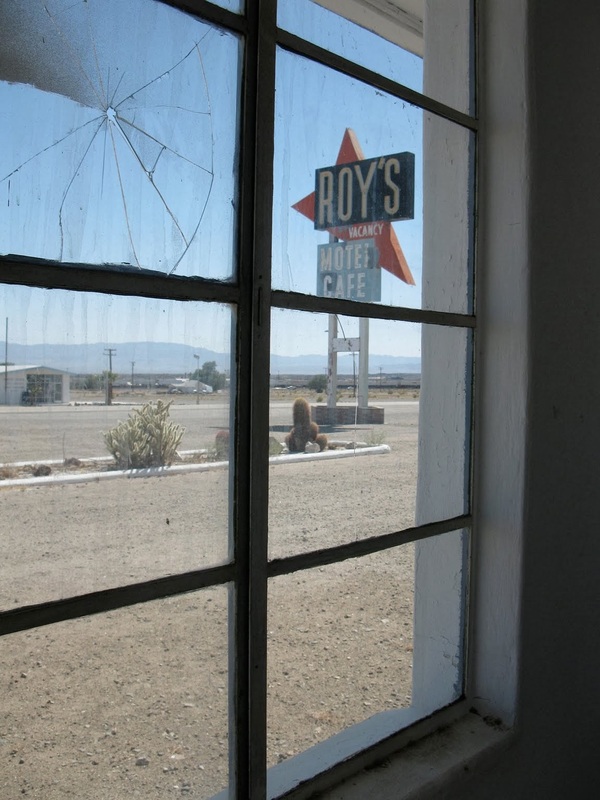 Buster sold the town in 1995 to a party that then went into foreclosure and then Buster's widow bought it back in 2005 and sold it to its current owner, a Mr. Albert Okura, who promised to keep the yesteryear ambiance and reopen Roy's in the future. 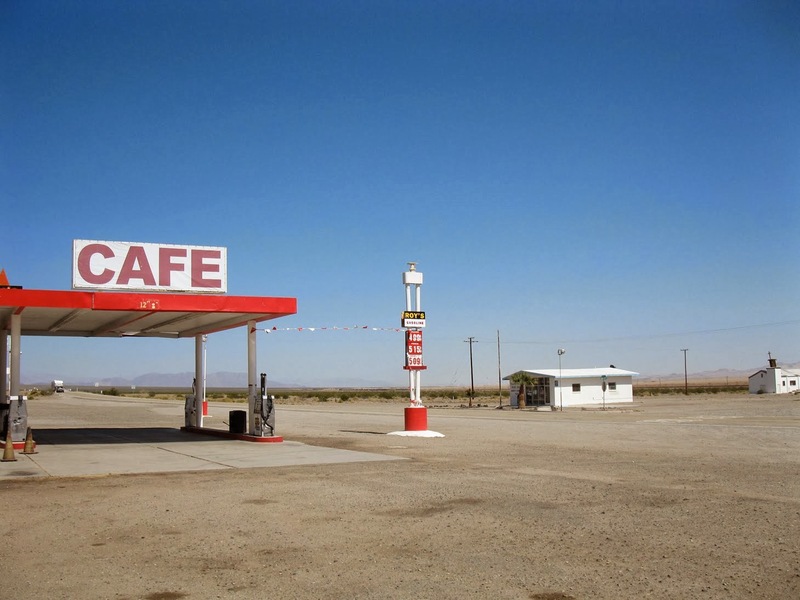 When we were there last spring (2011), the gas station was pumping $4.99/gallon gas, the cafe had cold soda and souvenirs and a busload of European tourists were milling about the place. 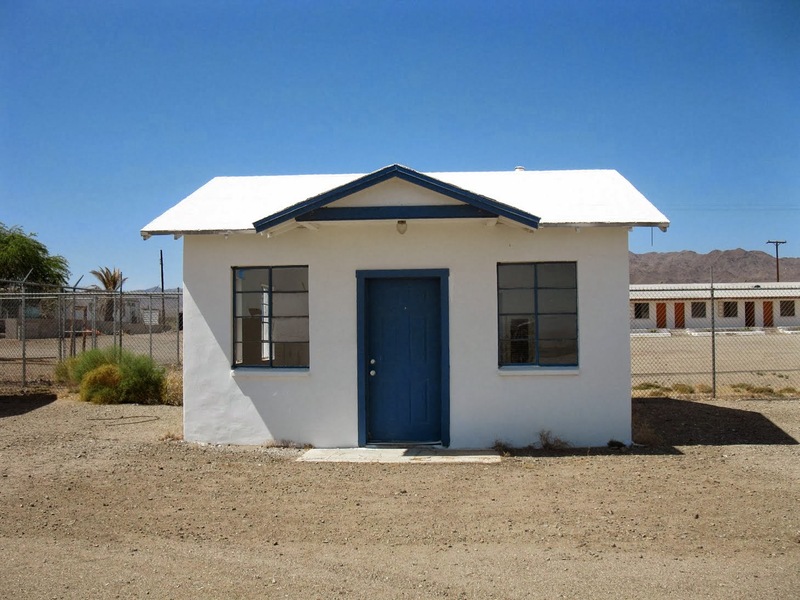 The motel cabins were deserted but graffiti-free, like a well-preserved ghost town. 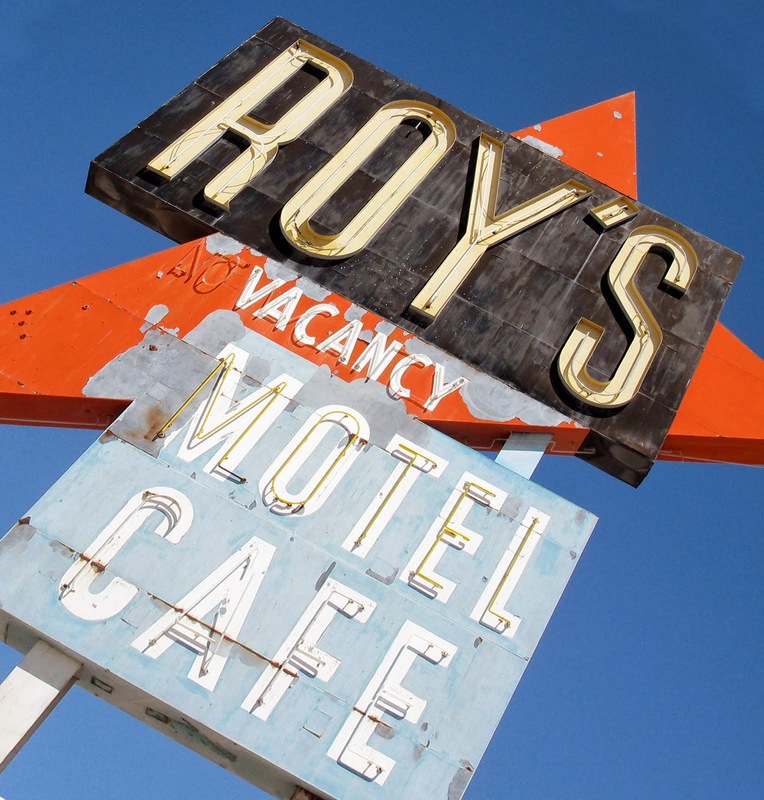 The awesome decaying Googie sign reaches for the sky like a skyscraper in this hardscrabble no man's land to all fans of dilapidated roadside nostalgia. 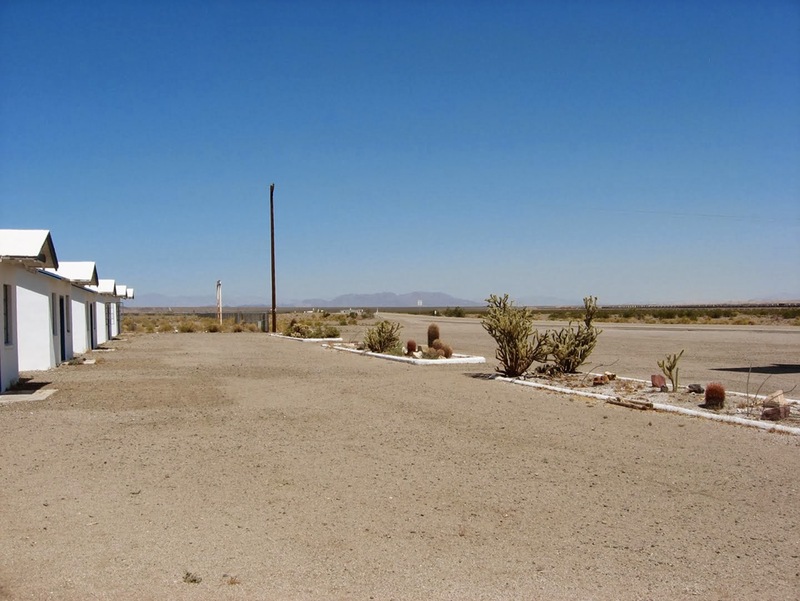 It was 100 degrees when we stopped by, a little chilly for these parts, but it was worth every bead of sweat to see such an amazing eccentric roadside site. 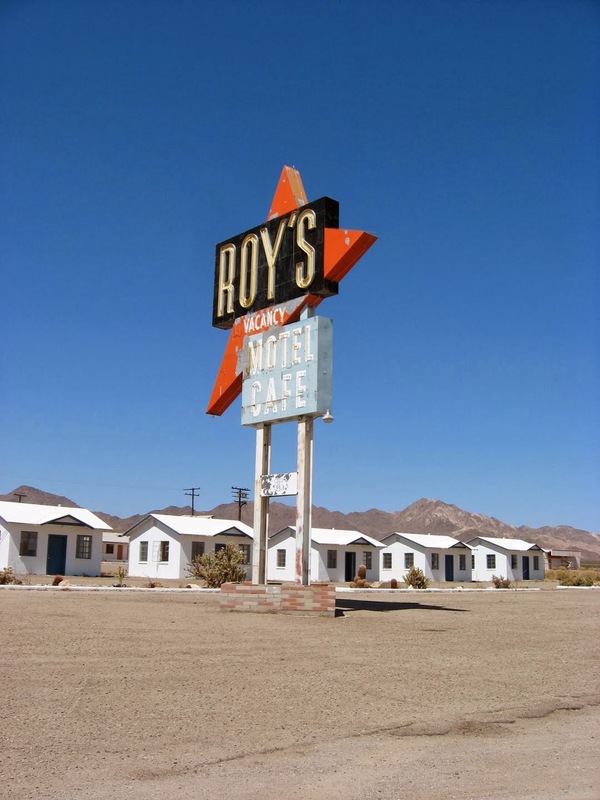 Roy Orbison, Roy Scheider, Roy's of Amboy...there's a lot of greatness in the name Roy. 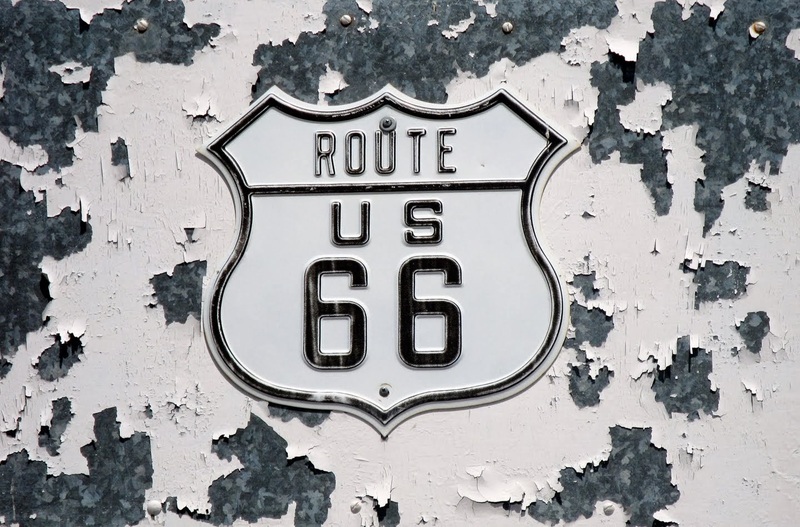 I've lived in Connecticut and Rhode Island all my life and if those two states were a comedy team, Connecticut would be Carl Reiner (earnest, intelligent, quick-witted and serious) and Rhode Island would be Mel Brooks (unpredictable, hilarious, and completely off the wall). 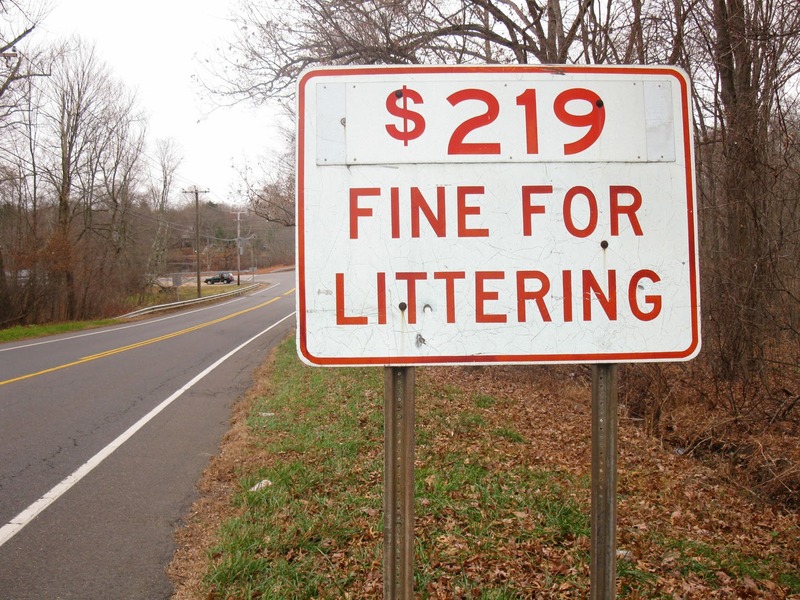 So it comes as a bit of a surprise that no-nonsense, straight-laced Connecticut is a little wacky when it comes to imposing fines along the roadside. 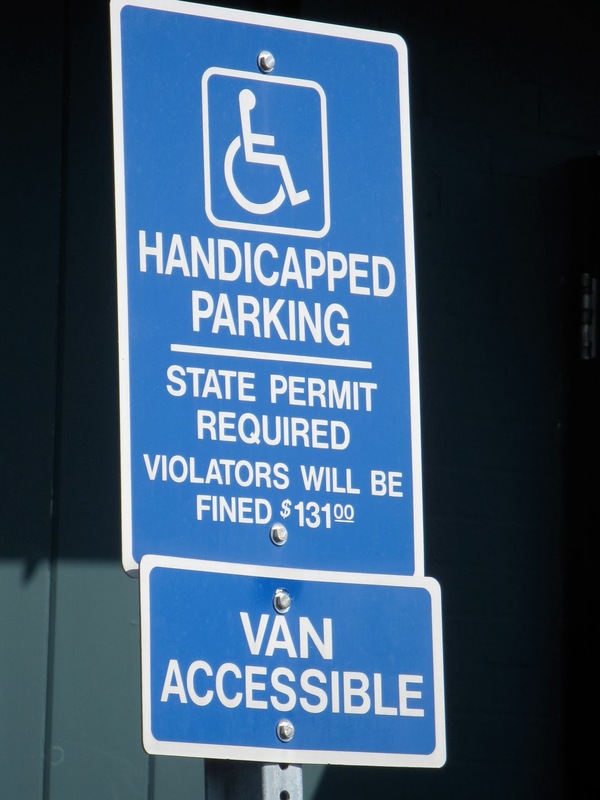 There seems to be an aversion to round numbers, as the two signs above attest: $219 for littering and $131 for parking in a handicapped space without a permit. 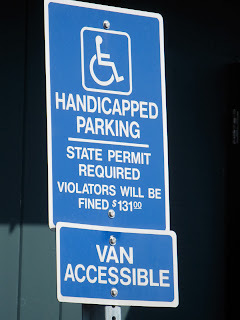 Three shalt be the number thou shalt count, and the number of the counting shall be three. Four shalt thou not count, neither count thou two, excepting that thou then proceed to three. Five is right out. 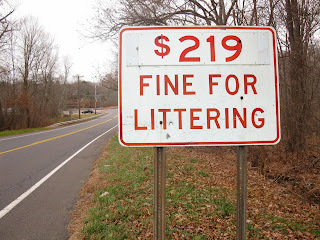 So, in Connecticut there's a fine line between the sublime and the ridiculous when it comes to fines, not to put too fine a point on it, and we're fine ones to talk. 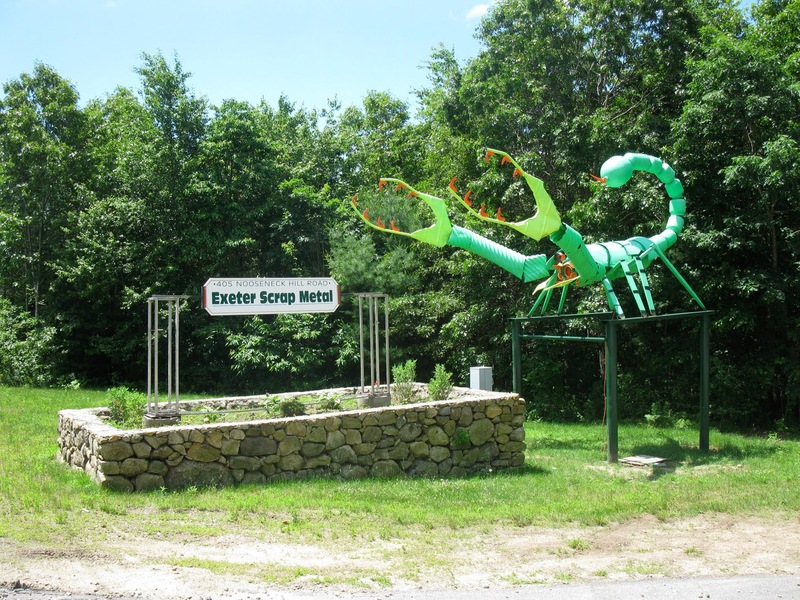 A year and a half ago, we did a post about the giant green and yellow scorpion statue made out of old propane tanks, engine parts and other scrap metal castoffs that sits at the entrance of Exeter Scrap Metal in Exeter, Rhode Island, Eccentric Roadside's hometown (click here to read it). It took a little while, but just recently the legit Rhode Island press (The Providence Journal) also did a story about the place that went into much greater detail (unlike us, they actually talked to someone there) that answered all the burning questions ("who owns the place?" 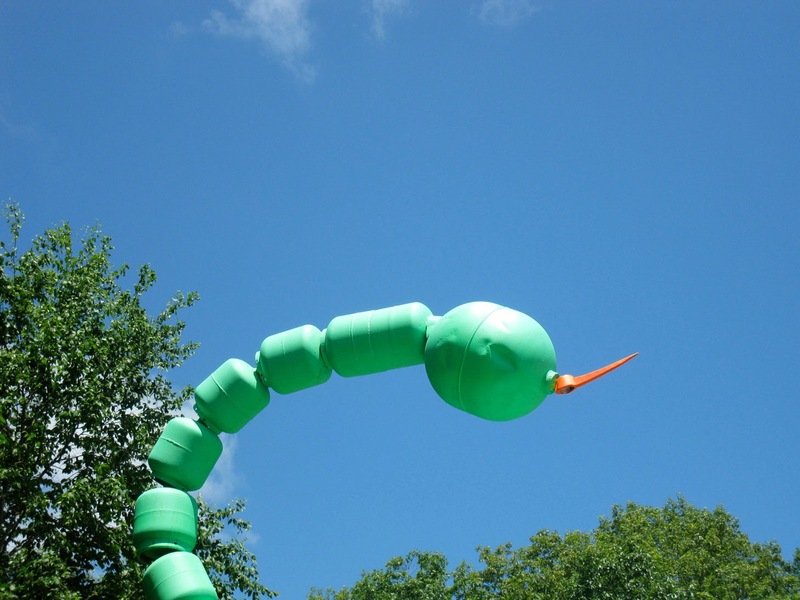 "why a scorpion?" "does he have a name?") we were too lazy...er, busy to ask. 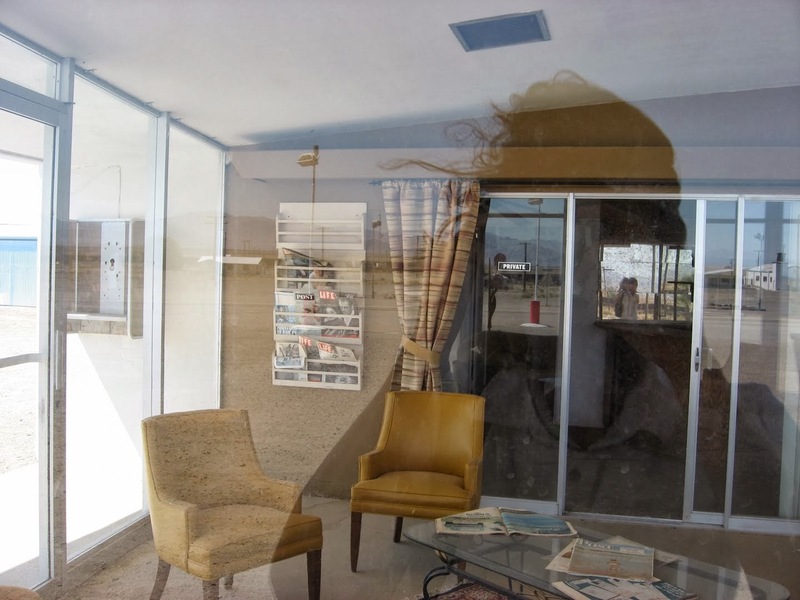 Turns out the place is owned by a Mr. Kevin Gilligan, and the sculpture was created by various employees and family members and you can click here to read the full investigative report. 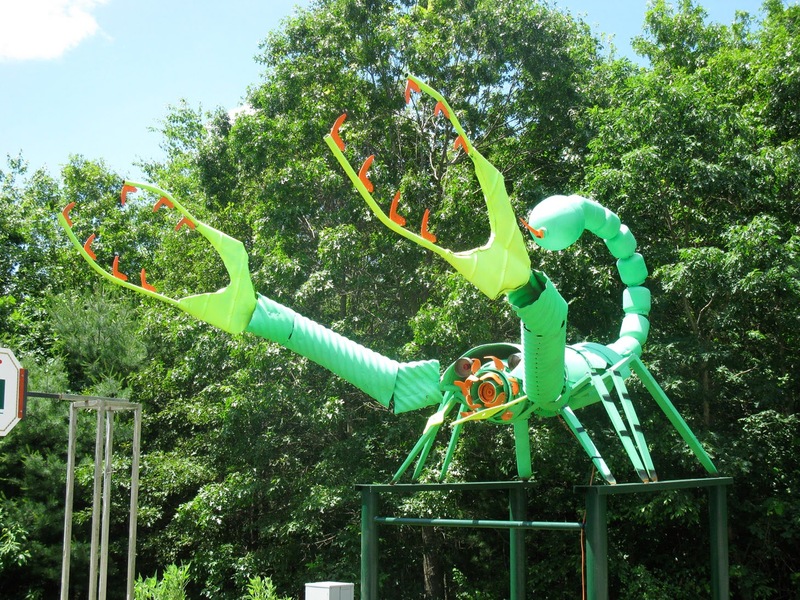 And we're sure when Thomas Jefferson said "The press is the best instrument for enlightening the mind of man, and improving him as a rational, moral and social being," he meant stories about giant green and yellow scorpion statues.